It’s spring in Rome, and every afternoon I walk past this fruttivendolo, a greengrocer with piles and piles of lovely fresh produce. I’d been eying the agretti, and bought some for dinner that day. Agretti is a Mediterranean succulent, only appearing for some weeks in the spring. 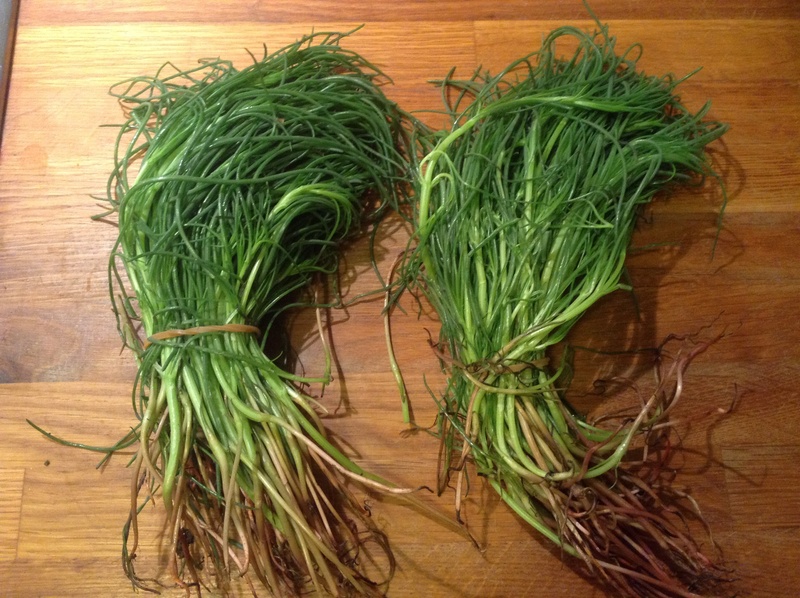 It looks like giant chives, but has a flavour of its own and is slightly crunchy when steamed. 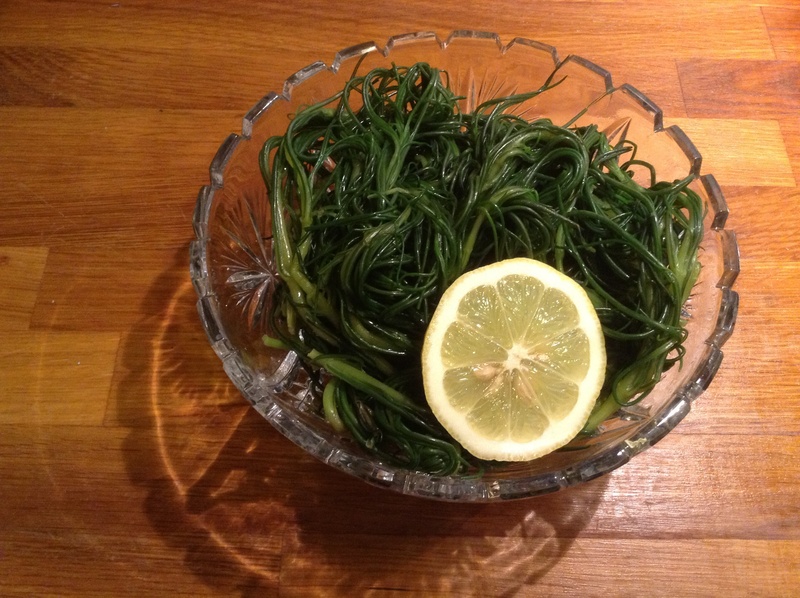 Agretti is wonderful with lemon. 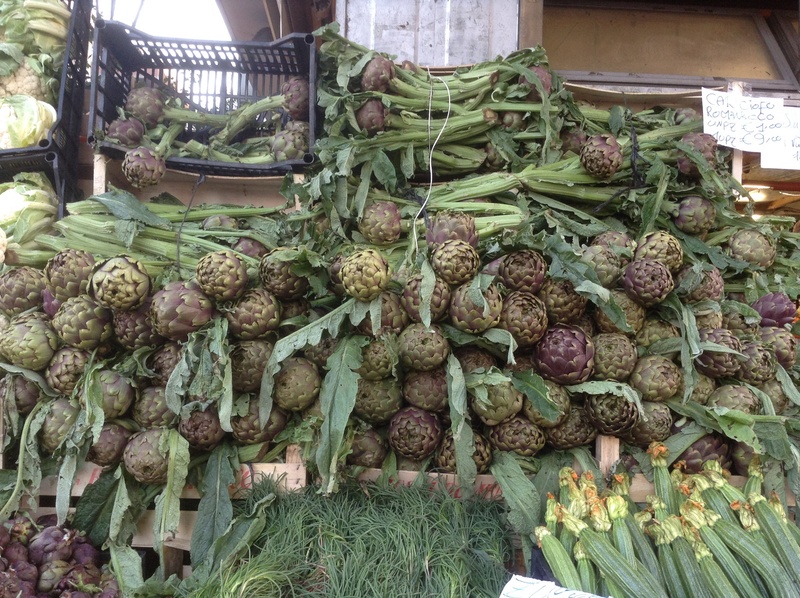 Yes, it is also season for carciofi, and there are mountains of artichokes just begging to be taken home. 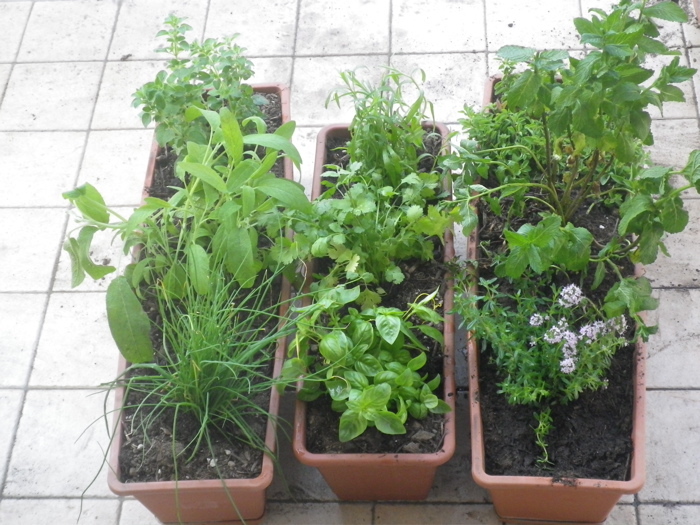 Hmmmm, maybe pasta with carciofi and mint, or a nice artichoke risotto….? No, today it will just be agretti. 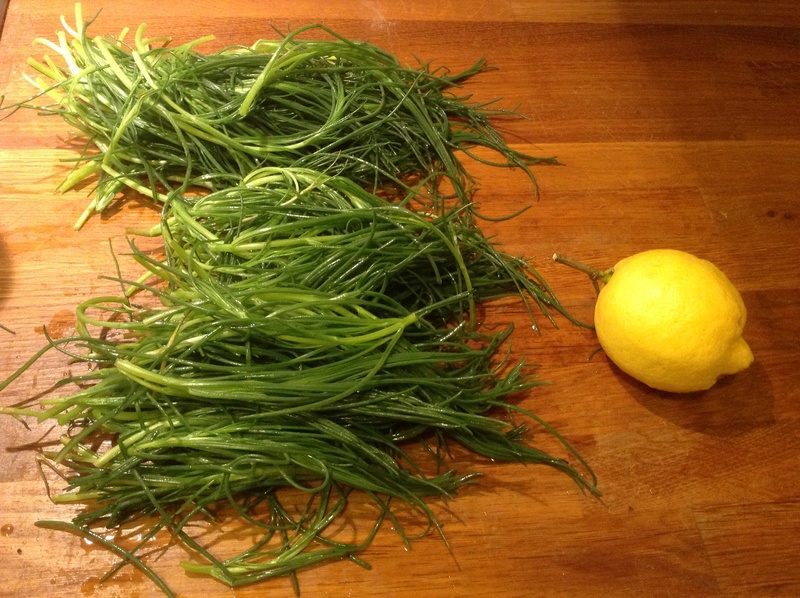 Cleaning agretti: Wash, and remove the rubber band (those survive boiling…). Just chop the roots off, remove any yellow stems. I’ve usually enjoyed agretti lightly sauteed in a frying pan, then served with a little fresh lemon juice squeezed over. Lovely quick springtime side dish. 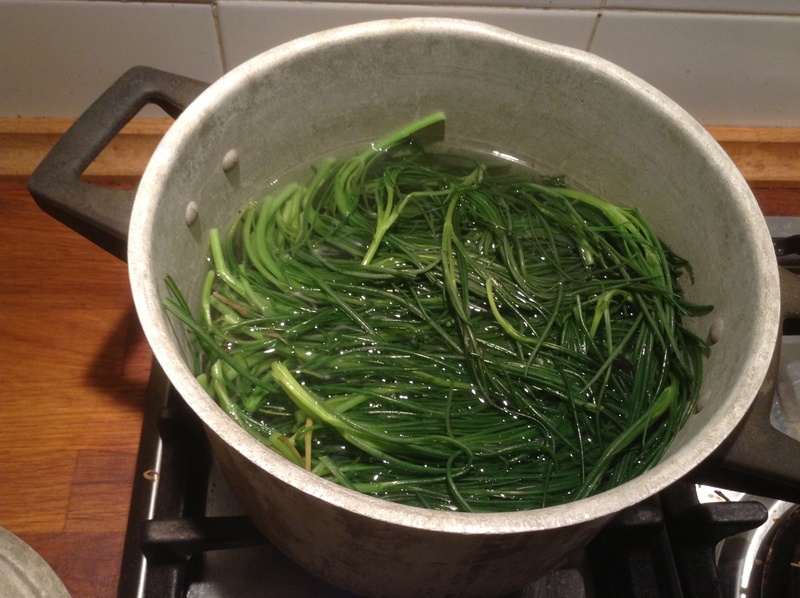 I’d been reading on a couple Italian blogs that they preferred to boil the agretti (like here) in abundant salted water, so I tried that this time. Into the pot of boiling water it goes, just for 2-3 minutes. Drain, and serve with lemon, and a drizzle of olive oil if you wish. Delicious, it’s slightly squeaky and very fresh-tasting. Nice cold for lunch the next day as well. Also good in omelettes. I think it is just as easy to steam the agretti or saute it in a pan, the main issue is not to overcook it. 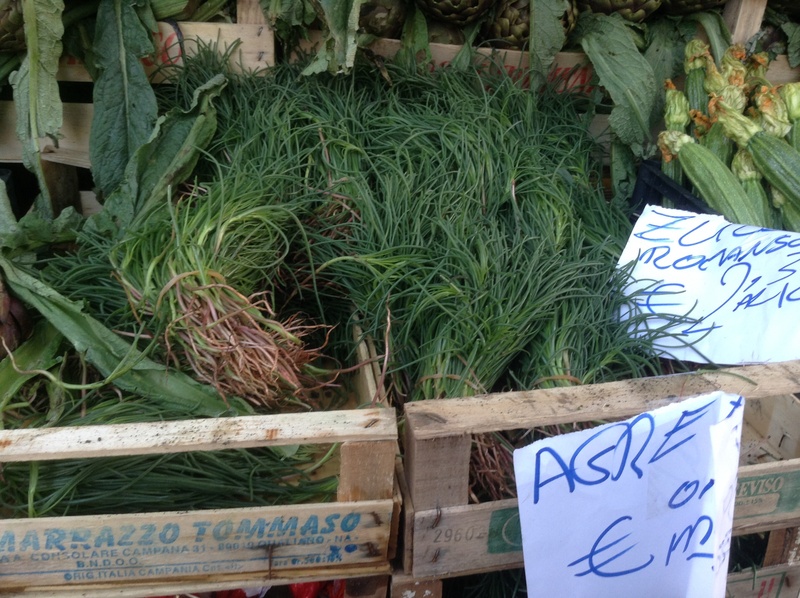 Good luck in finding some agretti to try for yourself! 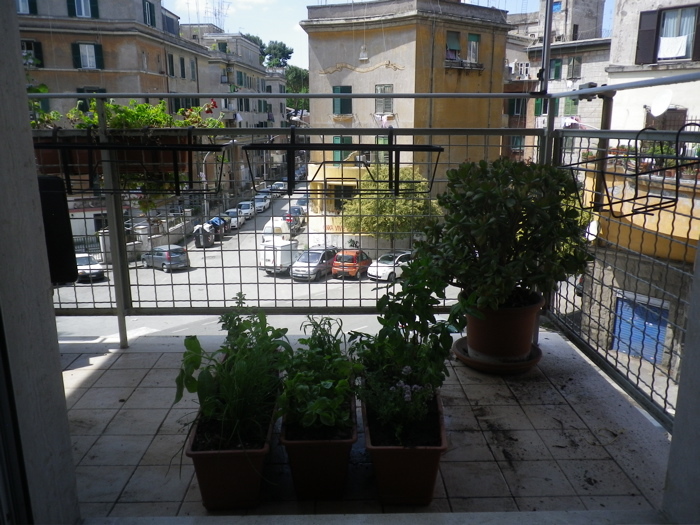 This entry was posted in food, Rome and tagged greens, spring on April 8, 2014 by krumkaker. 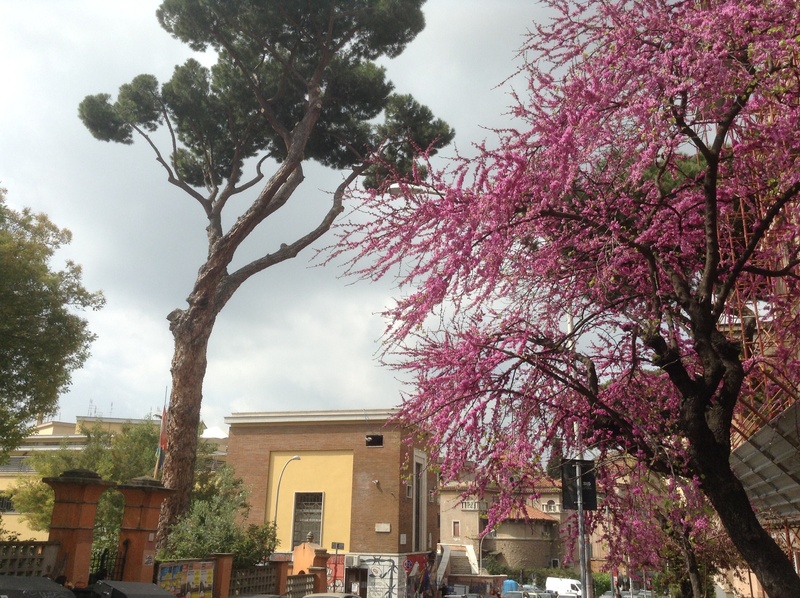 Spring has certainly arrived in Rome. There are blossoming trees, newly planted geraniums appearing in window boxes, and even the occasional local observed in short sleeves. No sandals yet, though it is gorgeous and sunny. I wandered up to the farmers’ market last weekend, and as usual bought more than intended. 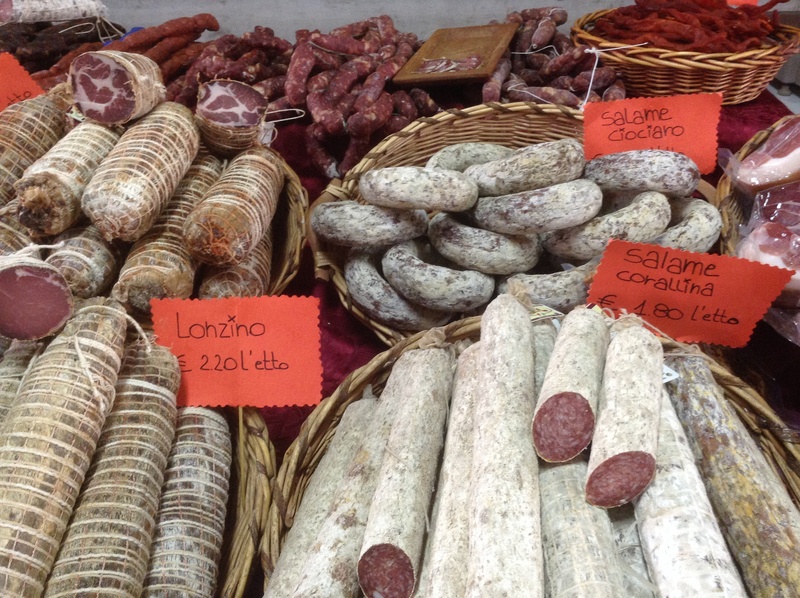 Salumi at market – it’s hard to resist! 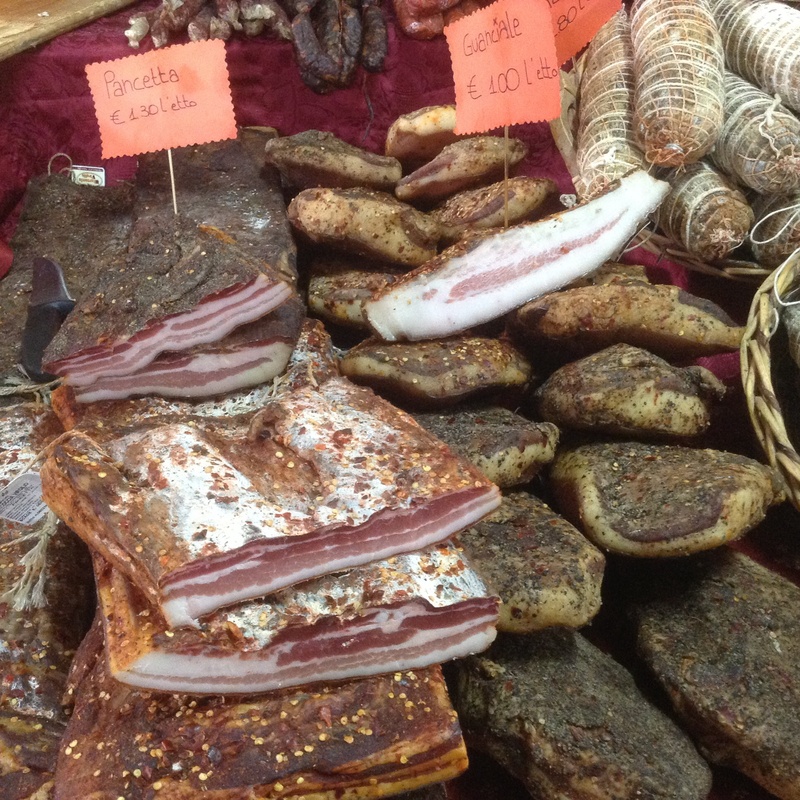 There was a lovely salami with tartufo (truffle) which I must get some more of. 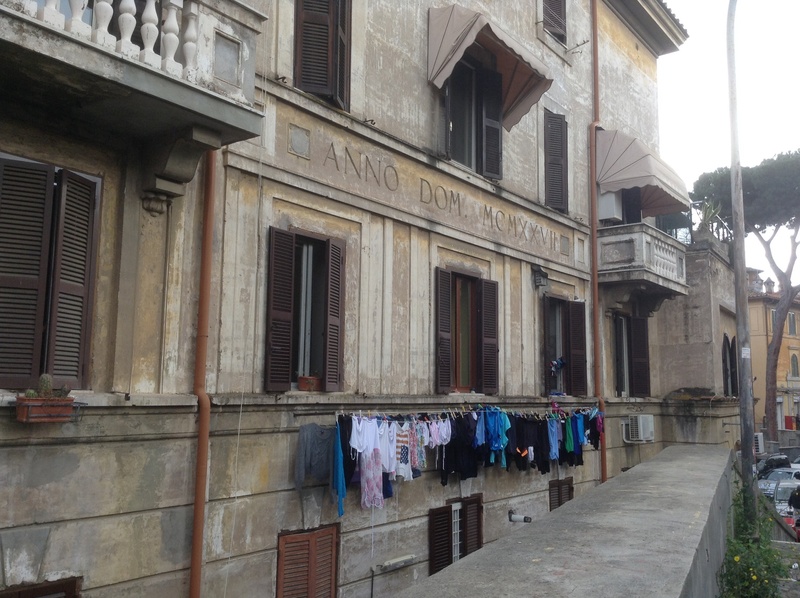 I too had laundry waiting at home to be hung out, though not as picturesque as this. 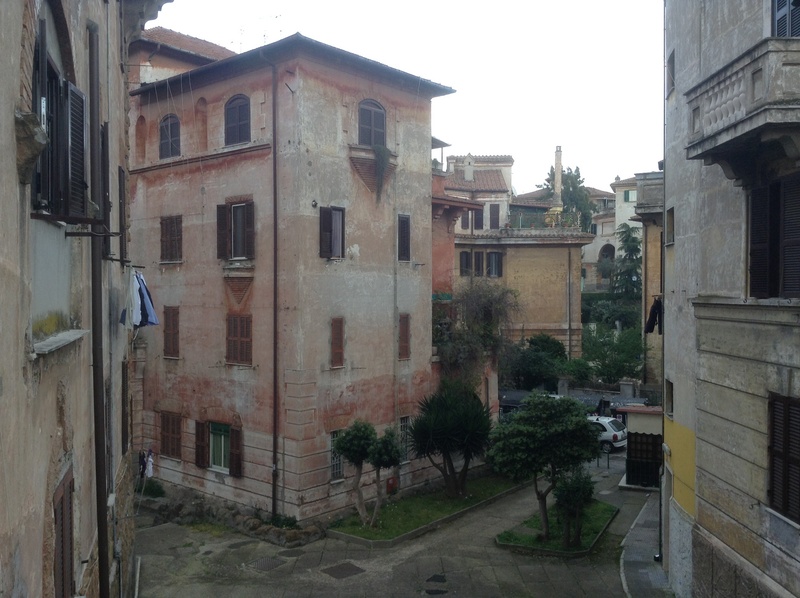 Looking through the lotti, always interesting to see the internal courtyards here. 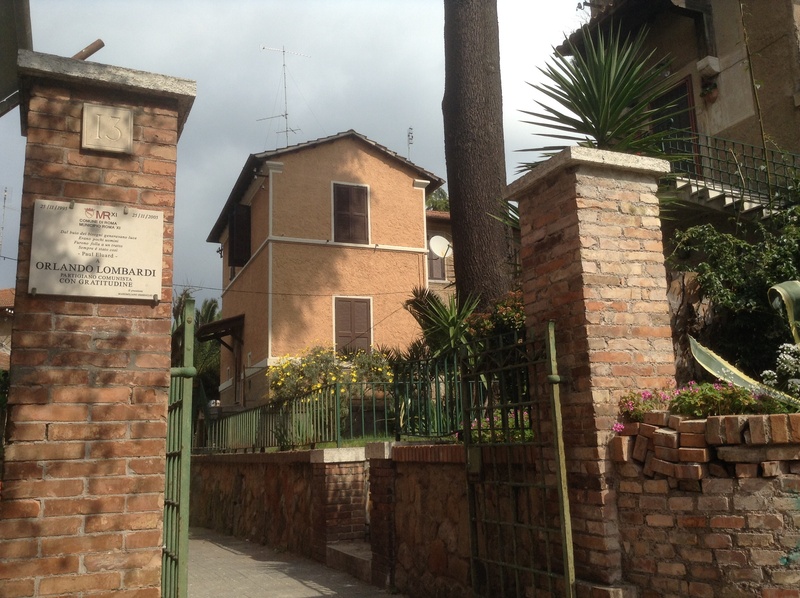 This entry was posted in Italy, Rome, travel and tagged Garbatella, spring on April 6, 2014 by krumkaker.